Mosquitoes are already a problem in many areas of the United States. Whether you live there, or in an area where mosquitoes are just beginning to be a concern, there’s lots you can due to reduce mosquitoes from your outdoor (and indoor) living areas. It’s updated regularly not only to spotlight different types of products we carry, but also provides tips on how to maintain solar lighting and other solar Home & Garden products. The May 2013 edition of Illuminations, the Solar Lighting Newsletter from SolarFlairLighting.com is now available online. We were going to write a post on this, but decided to recommend this well argued post about the looming Internet Sales Tax. It’s a bad idea, we think, and geared to help bigger stores and online shopping sites, as well as the local Mom & Pop small businesses. Today, there are solar water fountains in almost every style you can imagine. This video shows some of the many looks solar fountains can give you, and also reviews the different technology available. We hope this helps you pick a water fountain perfect for your garden or outdoor living area, and which ones will operate the way you want! 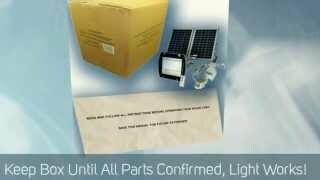 Video – Curious About Solar Spot Lights? We’re adding more videos every day. If you’re wondering how solar spotlights can help you meet your landscape lighting needs, this video has some great tips. Spotlights serve functional needs, like brightening doorways and can also add dimension to your gardens by varied uses of lights. The benefits of flexible spotlights, what to look for when buying are briefly reviewed in this video. We’ve been working on several new videos for a while now. So many of us are finally tasting a very late spring and moving solar lights from storage to landscapes. Luckier folks have been enjoying the outside and may notice solar lights and other garden products just ain’t what they used to be. Here’s some of the top problems along with how to avoid them, how to fix them (if possible), and when the fix just isn’t worth the cost or effort. 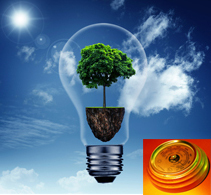 A bit of your time will mean a huge jump start for most most solar lighting fixtures or other solar products.